I had recently had the pleasure of seeing Mimi Nguyen present her paper "Aesthetics, Access, Intimacy" or "Race, Riot Grrrl, Bad Feelings" at Sarah Lawrence College's 12th Annual Women's History Conference: The Message is in the Music. Nguyen spoke about how race has been a "stumbling block" for riot grrrl; her criticism was refreshing in the wake of 2010's riot grrrl nostalgia. Nguyen's main point is best summed up in this quote: "How we narrate the interventions of women of color is crucial to how we remember feminisms and imagine our futures." She commented on how women of color feminisms and criticisms are often treated as disruptions - something to be learned from and moved on from - and then taught as sort of an addendum to feminist history. In short, Mimi Nguyen's paper helped sort out a lot of things in my brain - about riot grrrl and women's history and wherever the twain shall meet. 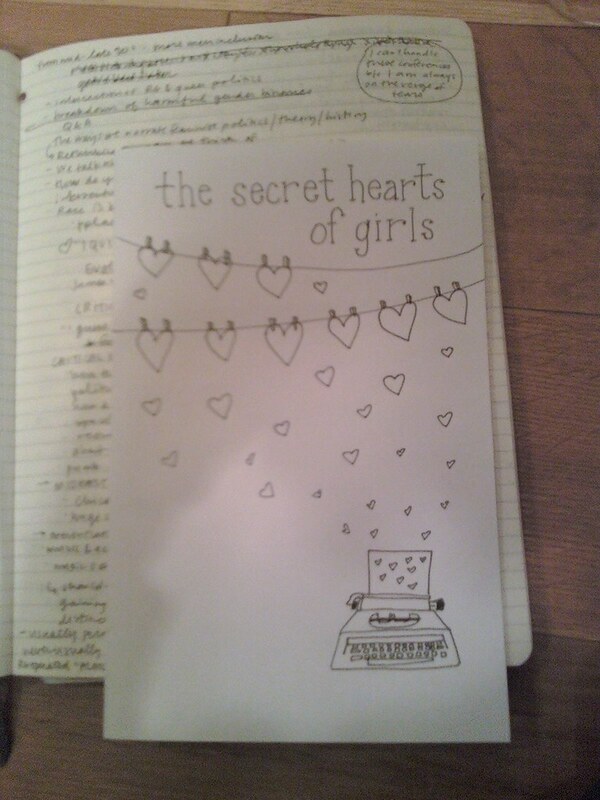 So when I sat down to create my zine pages I channeled some of "Aesthetics, Access, Intimacy" and made a page depicting "the secret hearts of girls". On my last page I rubber-stamped Nguyen's quote about remembering feminisms & imagining our futures, because it has been stamped on my brain ever since she said it. 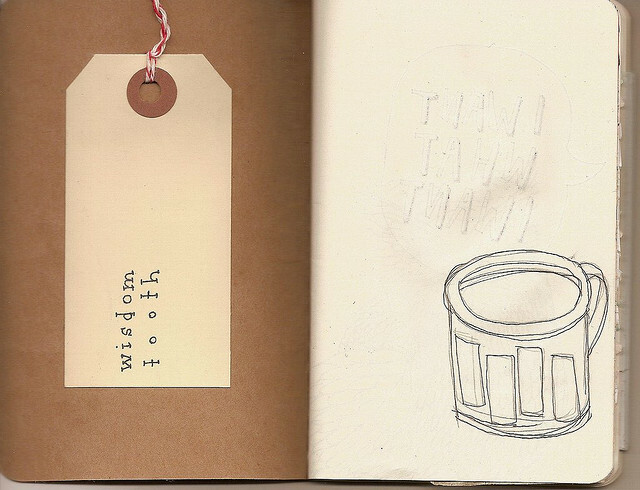 Mimi, you posted about this paper on your thread & circuits blog and the same quote has stayed with me since I read it. I would definitely be interested in a published piece!